Register here to join us in Surf City, right on the Topsail Island shore, which is nestled amongst our trail communities in Pender and Onslow Counties. While these areas suffered significantly from Hurricanes Florence and Matthew – many residents have lost their homes, Surf City lost its Town Hall (but not the treasured MST hiking stick), schools and basic services were disrupted for weeks, and much of the trail itself was under water across the entire Coastal Crescent portion – we’ve been assured that our presence in Surf City and Pender County will not hinder the recovery process, and that we are indeed very welcome. Surf City is an MST trail town, nested amongst our trail communities in Pender and Onslow Counties, and while everything may look a little different right now, the heart of these trail towns is still strong. With clouds from Florence literally on the horizon, the town of Burgaw in Pender County gathered over 100 students and citizens to sing Happy Birthday to the MST and hike their in-town bit of trail to kick off the Birthday Hike weekend. One of our task force leaders in Onslow County shared that his sawyer training with the Friends was incredibly helpful as he cleared limbs from his own property and that of his neighbors after Florence. This MST spirit is still here as these communities are transforming. The timing of this Gathering also presents us with a very special opportunity – one of being purposeful partners in the rebuilding of our trail communities. While this Gathering will include plenty of fun, fellowship and catching up on the latest trail happenings, we’re also going to expand our focus to include time for service. The central events of the weekend include a reception at the Karen Beasley Sea Turtle Rescue and Rehabilitation Center, with dinner at the Surf City Community Center Friday night and the Annual Membership Meeting on Saturday followed by a group sunset hike of the new Surf City Bridge. For the rest of the weekend, we are confirming a full-schedule of excursions and service opportunities to help you enjoy the outdoors, learn more about this special part of North Carolina and help the community as it continues to recover. 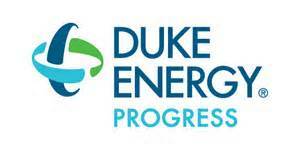 Thursday and Friday, before 5 pm – Thursday workday at Turnbull Creek State Educational Forest, and lots of other excursions, sponsored by Duke Energy Progress. Friday, March 22 – 5:00 to 6:30 pm– Reception at the Karen Beasley Sea Turtle Rescue and Rehabilitation Center – Meet director and Oceana’s Ocean Hero, Jean Beasley, and learn about the center’s work to protect turtles in the water and on the beach, to rescue and rehab sick and injured sea turtles, to educate thepublic about the plight of sea turtles, and to meet some of their current turtle residents. First glass of beer or wine is brought to you by AntiGravityGear! 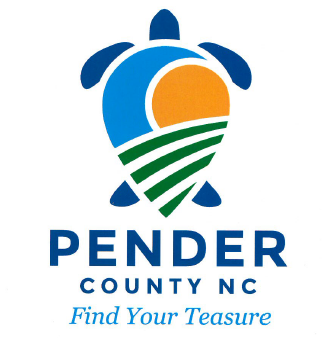 Friday, March 22 – 6:30 to 8:00pm – Surf City and Pender County Tourism will be hosting a casual welcome dinner at the Surf City Community Center immediately after the reception. Menu is being finalized, but word on the streets is that seafood is top contender (along with vegetarian options, of course.) There will be a short welcome from Friends and our hosts. Friday, March 22 – 8:00 pm to … Salty Turtle Beer Company If you’ve got the stamina, join us at the Salty Turtle at 8:00, a brewery just around the corner, for a nightcap before retiring for the evening. Saturday, March 23 – 10 am to 3 pm – The Annual Meeting – will include reports on progress to build, maintain and promote the MST; keynote address by Walker Golder, the Director of the National Audubon Society’s Atlantic Flyway Coast Initiative; several workshops; and awards for hikers who have completed the trail and for outstanding volunteers. Doors open at 9, with coffee, light breakfast snacks and time to chat. The meeting starts at 10. Saturday, March 23 – 6:00 pm – Hike as a group over the new bridge to Surf City at sunset. We’re the first group being given permission to do this – the views should be amazing. Sponsored by Farm to Feet – all hikers get a pair of Farm to Feet’s NC-made socks! Sunday, March 24 – 9:00 am – Guided trek in Holly Shelter with Andy Wood from the Coastal Plain Conservation Group. The four-hour trip will feature frequent stops to observe significant interest areas, including some of North America’s most diversely populated carnivorous plant gardens highlighted by some of the world’s last remaining natural populations of Venus’ Fly Trap (Dionaea muscipula). While immersed in the Longleaf Pine ecosystem, where endangered Red-cockaded Woodpeckers dwell, participants will also explore isolated rain pools supporting more species of frogs than just about anywhere else within the Atlantic coastal plain, north of Florida. Due to the hurricanes, many of the planned accommodations have been impacted. There will be plenty of rooms, though we will be spread across the island in a way that we didn’t anticipate at the outset. The silver lining is that our impact will be felt by many mom and pop hosts. Our Friday evening and Saturday events will be held at the Surf City Community Center, 201 Community Center Drive, Surf City, NC 28445, so you can judge distances to accommodations. The hosts live on site and welcome us to their family-owned 47 room beach motel, situated right on the Intercoastal Waterway. The Breezeway is about 6 miles from the bridge crossing onto the island and features mostly double rooms, with a few king rooms. There is a dock out back with grills and picnic tables, and there is beach access right across from the motel. Each room has a mini-fridge, microwave and coffeemaker. 7 rooms are pet friendly. The rates for 2 people per room are $75 with all taxes and fees included, with each additional person $10, up to 4 per room. Pet fee is $50 per pet for the entire stay. Let them know you are with the MST Gathering. The Jolly Roger boasts oceanfront and westward facing rooms and efficiencies, plus the fishing pier! The grill should be open by March, so you could in theory wander down the pier, catch your breakfast and cook it yourself. They haven’t posted 2019 rates yet, but MST guests can expect an oceanfront double room to run about $89 plus tax and fees, efficiency $95, a westward facing double room $75 and efficiency $79. The Jolly Roger is about 6.5 miles from the bridge crossing. All rooms have mini-fridge, microwave and coffeemaker. Unfortunately, they are not pet friendly. The Island Inn will open early just for MST Gathering attendees. Pet friendly. To book, call Barbara directly on her cell phone, 910-545-0297. The Pink Palace (910-328-5114) and Main Street Inn (252-955-2227) are smaller inns with 5 and 4 rooms each. Both are lovely. Lanier’s is walking distance to the Surf City Community Center and is one of the most scenic coastal campgrounds we’ve seen on the MST. It’s right on the waterway, offering both soundside and interior sites. Off-season rates per night for RV/Camper hook up with water, electric and sewer on the sound are $50, $45 on the interior; just water and electric are $45 on sound, $40 for interior. Tent camping on water is $40 per night, $35 on interior. Blackbeard’s won’t have their bathhouse open in March, so they will only take self-contained campers, NO TENT CAMPING. 30 amps is $40 a night, $50 amps is $45 per night. They only take cash and checks, no credit cards. They will open up reservations for 2019 on January 1. Blackbeards is right on the sound, across the bridge from the community center. Because of the wide variety of homes available, we don’t know rates. Please tell the agents that you are attending the MST Gathering of Friends, and ask for the best rate they can provide. As we continue to access the housing situation in Surf City, we will add additional options if necessary. Even during this time of recovery, the beach is a wonderfully rejuvenating place to be, and we encourage you to stick around as long as you can. Perhaps bring the family for the week leading up to the Gathering, contribute to the local economy, and enjoy the beauty of the area before we gather.